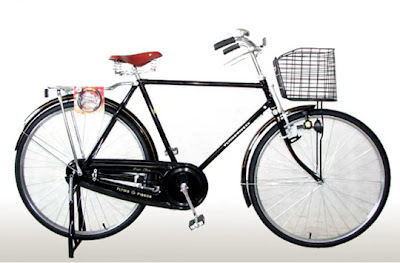 On July 5th, 1950, the first Flying Pigeon bicycle was produced. It was the brainchild of a worker named Huo Baoji. He based his classic model on the 1932 English Raleigh roadster. The name chosen to represent the most prominent bicycle trademark was an expression for peace amidst the raging war in Korea. The logo is a stylized bird which represents concord and harmony, resting on the initials FP(wiki). Simple, clean and classic. At $299, some would say a steal.